Four of our city commissioners live west of the river. Perhaps rather than just talking a big game, they could talk to their neighbors about doing their part. Portland city Commissioner Chloe Eudaly isn't the only local official thinking about tiny houses for the homeless. She's just the only one acting unilaterally and ignoring city codes. Multnomah County's pilot project to build tiny houses for the homeless is quietly moving forward. Unfortunately, geography and secrecy are setting it up to fail. The county will spend more than $300,000 to build four backyard tiny houses. After five years of hosting a family — one parent and two children — the property owner keeps the tiny house and can do whatever they want. List it on AirBnB, rent it out, turn it into an art studio or man cave. Ultimately, the county hopes to build 300 more. The county received more than 1,000 complete applications for the program. In response to a public records request, it provided a list of them. Only 75 applicants came from west of the Willamette River, and most of those are in Southwest, not the affluent West Hills. Other prestige neighborhoods like Irvington and Eastmoreland opted out, too, forming doughnut holes on the map. Meanwhile, neighborhoods already most impacted by homelessness east of the river stepped up. Maybe it's just about money. Wealthy homeowners in posh neighborhoods can buy a tiny home if they want. They don't need the county to buy one for them. More likely, they're content to let hoi polloi neighborhoods deal with the problem. Who wants to risk being ostracized by neighbors for allowing homeless people to live amid million-dollar homes? 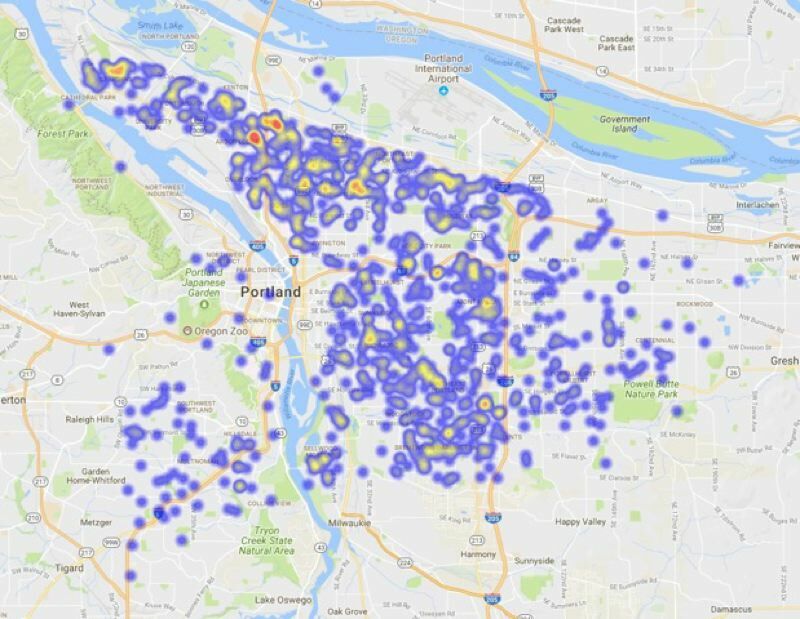 Portland's four sanctioned homeless villages are all in North (Hazelnut Grove, the Kenton Village and Right 2 Dream Too) and Northeast (Dignity Village). A fifth one (Forgotten Realms) also was in North Portland, but it burned down. Last I checked, Portland has five quadrants. Recall that when the city opened a homeless shelter in Southwest and promised to close it within six months, it indeed did close within six months. Promises are regularly broken elsewhere. Elected leaders talk a big game about homelessness being a citywide crisis. We've been under a state of emergency for two years, but neither an end nor real progress is in sight. Even if one of the county's tiny houses for homeless families winds up on the west side, the county is setting up the pilot project for failure. Officials won't tell neighbors where the tiny homes are going until it's too late to raise a fuss. They haven't learned that communication and transparency are essential, especially on something controversial like homelessness. When Hazelnut Grove was forced on the Overlook neighborhood without community engagement, it engendered bitterness that remains to this day. Before the Kenton Village opened, the city worked with the neighborhood and even gave neighbors a vote. That village is doing much better. Neighbors might support a homeless ADU that they have a stake in. They're more likely to just get angry if the county sneaks it in overnight. Portland can make progress on helping out homeless residents and preserving quality of life for all, but only if everyone helps openly.